Being an elected representative carries a tremendous responsibility. Decisions made by representatives while in office impact their current constituents, but will also influence future ones as well, often times long after they have left office. Because of this legacy effect, and the reality of unintended consequences, it is, and should be, imperative that public servants learn all that they can about the critical issues facing those they are elected to represent. Sadly, the commentary and actions from the local, state, and national policians tells me this is not happening. 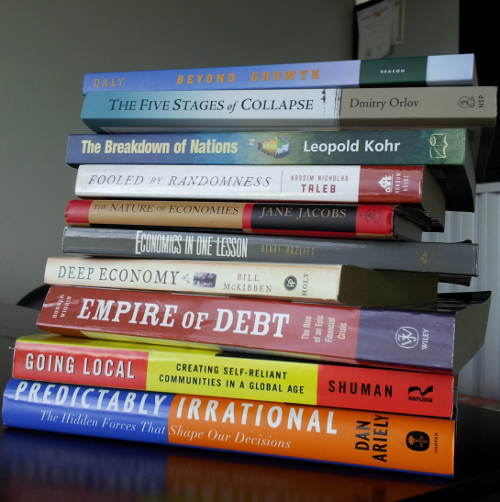 As such, I’ve prepared a short list of books that should be read as a primer for those entering public service, as well as those already serving. While I’m at it, I may as well include everyone that is represented by elected officials too. It’s difficult to engage in meaningful debate when most citizens understanding of their civic duty is limited to sound bites from television and radio personalities. Are there any changes you’d make to the list?